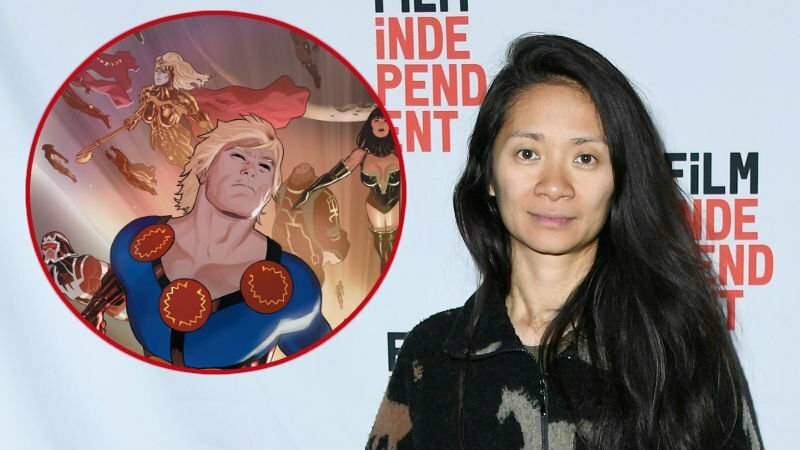 The Rider director Chloe Zhao will be helming Marvel’s upcoming movie The Eternals from a script written by Matthew and Ryan Firpo, Variety has confirmed. The Eternals comic book series, created by Jack Kirby in 1976, follows a race of ancient human beings created by the alien Celestials with the intention of them being the defenders of Earth against their destructive counterparts, the Deviants. The two groups went on to battle each other throughout history to see which would eventually become the ultimate race. The Eternals will be produced by Marvel president Kevin Feige. The story is reportedly centered around Sersi, a fourth generation member of the group born during the Hyborean Age who can manipulate cosmic energy to give her virtual immortality, invulnerability and molecular manipulation. Zhao is known for her movie The Rider, which follows a young cowboy who undertakes a search for a new identity and what it means to be a man in the heartland of America after suffering a near-fatal head injury. The movie received critical acclaim at the Sundance Film Festival and was nominated for an Indie Spirit Award. The outlet notes that Marvel execs were quick to book Zhao on The Eternals after an impressive meeting with the director.